Is Your Body BURNING FAT, STORING FAT, BURNING SUGAR OR STORING SUGAR? You definitely want it to BURN FAT! 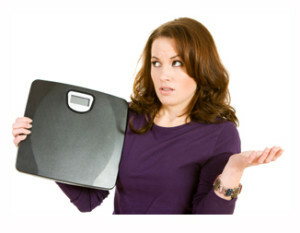 It’s time for you to find out why you aren’t losing your excess weight! We have amazing tools available to help you get your body into the FAT BURNING MODE! You can get blood tests, saliva tests, hair analysis, and various other evaluations to find out what deficiencies you have. Instead, why not analyze what you are putting in your mouth, the activities you are doing and how much sleep and exercise you are getting. Only then can you see what you are missing. One of the many tools we have in our office is a very complex program that will do all of this for you. All you do is enter all your information, including what you eat and do every day, and press a button. The program then analyzes how these items influence your hormones and gives you instant feedback on what you need to add or change to get your body to burn fat. This feedback is specific to you and you’ll meet one-on-one with our staff to explain exactly what your results mean for you. We can get to the bottom of your problems and determine what we can do to help you finally lose your weight and gain more energy! Call our clinic today for more information about evaluations and the many other services we offer!